For investors, banks may now be the most attractive they’ve been in 30 years. However, public confidence in banking is at its lowest levels, according to a recent Gallup Confidence in Institutions survey. Only 10 percent surveyed had a great deal of confidence in banks, followed by 13 percent who had quite a lot of confidence. In the 2011 Gallup survey of 16 institutions from the military to Congress, banks ranked 12th, ahead only of organized labor, big business, HMOs and Congress in engendering a great deal/quite a lot of confidence. In a recent interview with Gallup Chairman and CEO Jim Clifton (see the first part here) he talked about the importance of banks’ increasing public confidence and the key role they play in helping entrepreneurs grow their business, which connects to the global competitiveness of the United States. Clifton argues, in his new book The Coming Job Wars, that successful entrepreneurship and job creation are the most pressing issues facing the world. In the U.S., Clifton says, local leaders must provide environments that encourage people to create small businesses because they generate most of the jobs. He describes the need for a partnership between cities, universities, and local tribal leaders (successful business people, retired officials, philanthropists) involved in the community who aren’t pushing their own agendas that can foster that kind of environment. How do banks and increased confidence fit into this? If you have ever started a business, Clifton says, a banker is more important in your life than your spouse or anyone else. From talking to and watching small businesses, bankers know which businesses are going to shoot up, what entrepreneurs need to do, and the advice to give them; bankers have relationships and insights and can be extremely helpful in job growth in addition to loaning money, he says. If a genie appeared and let you choose only one institution in which you had the power to restore trust – again referring to the Gallup Confidence in Institutions survey – more important than Congress or the media to job creation would be banking. Much has been said, and written, about how the actions of Wall Street banks in particular, and mortgage companies like Countrywide Financial contributed to the conditions that led to the 2008 economic meltdown. The result was eroded trust, confidence, and reputations —the result of what was interpreted as financial institutions’ greed and utter lack of concern for customers. One way for banks to repair confidence, says Clifton, is to refocus their mission and purpose on helping the United States grow its 6 million small businesses and support entrepreneurs’ starting new businesses every year. Most of the job creation in the U.S. comes from small and mid-size businesses. “The best thing banks can do,” says Clifton,” is take a deep interest in their banking clients to help them get more customers.” A good banker, Clifton says, helps you think, talks to you about your business, and helps you build strategies. The role of the banker, says Clifton, is not so much in funding, but serving as an advisor actively engaged in helping and supporting you grow your business. Clifton estimates that 1 in 10 people employed in the U.S. work for a bank or an institution similar to a bank. If those 10 million employees connected to financial institutions had as their purpose really helping the 6 million small businesses, the impact on communities would be enormous, he says. “Banks are one degree away from us, not six degrees,” Clifton continues. 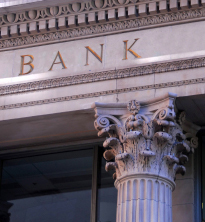 Banks greater focus on positively impacting communities through growing jobs would have another benefit to both them and communities explains Clifton; it can help them attract the stars that are coming out of graduate schools. Clifton’s approach is one way banks can increase public confidence. At the other extreme is the announcement this week that Bank of America is quadrupling CEO Brian Moynihan’s compensation package in a year when their stock fell 58 percent and they’ve announced plans to lay off 30,000 employees. NextHave We Placed Too Much Faith in Corporate Governance Reform? Financial Crisis: Can the Fed Be “Smarter and Better” Next Time?